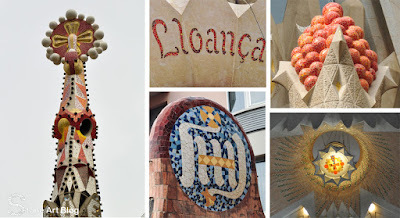 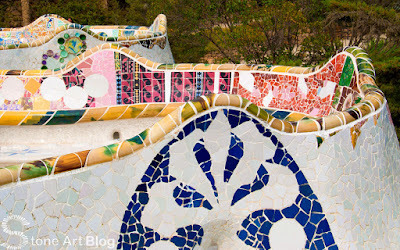 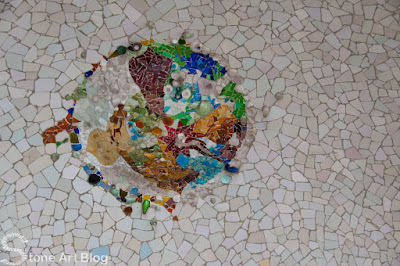 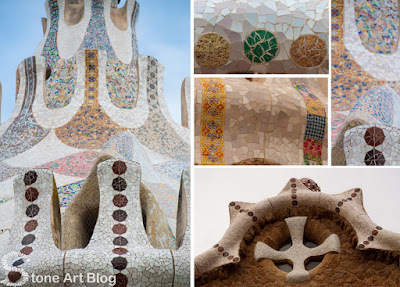 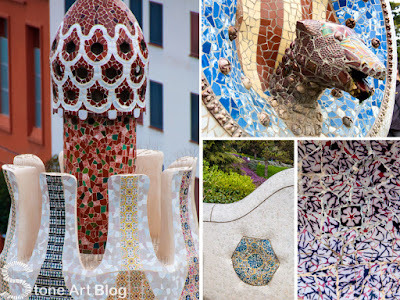 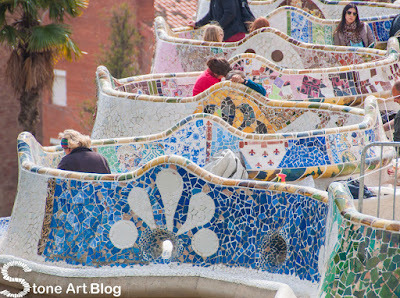 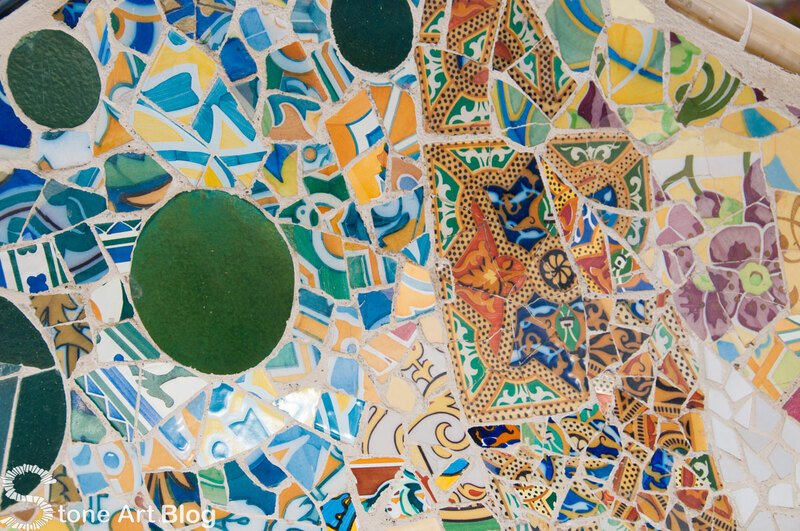 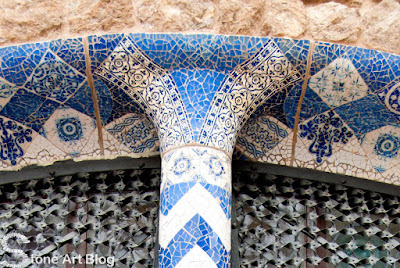 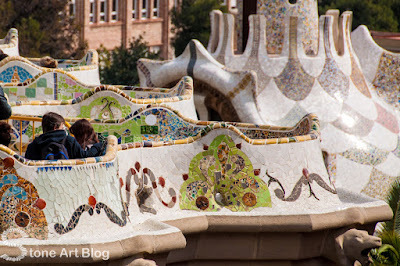 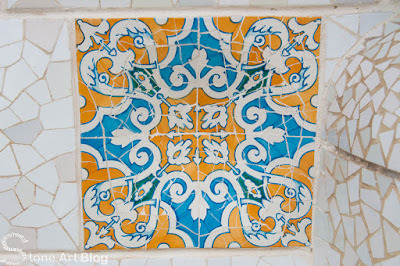 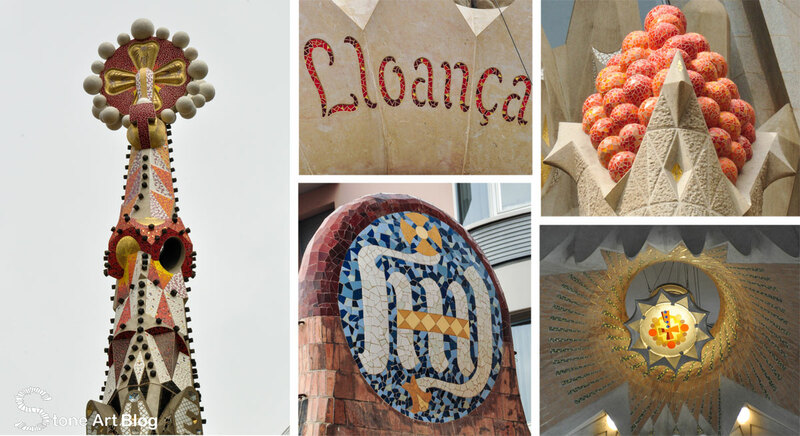 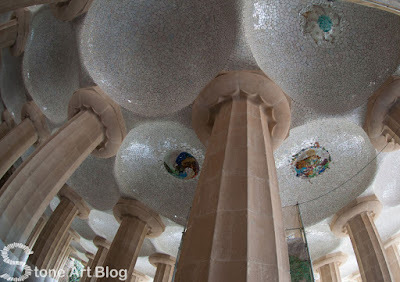 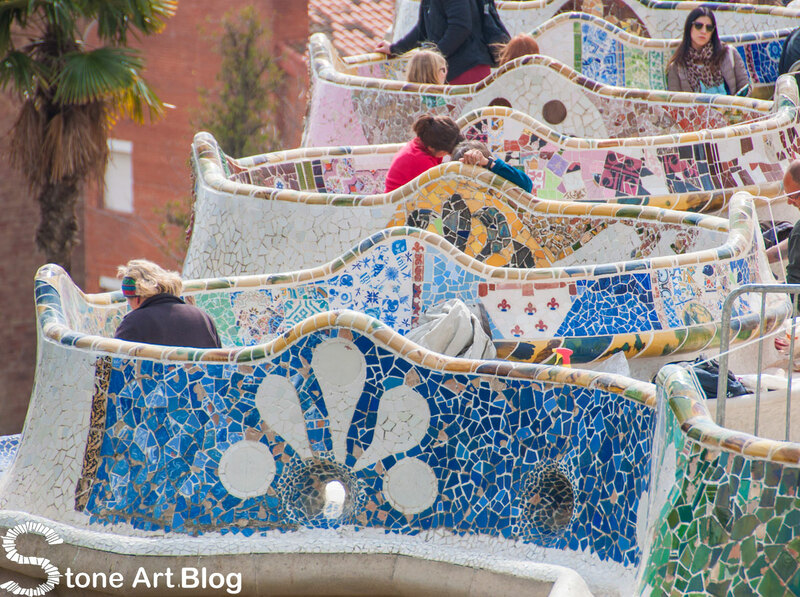 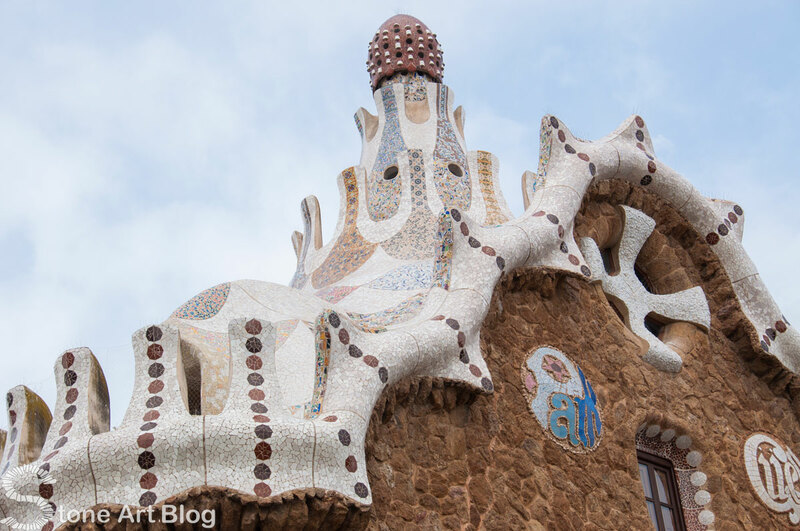 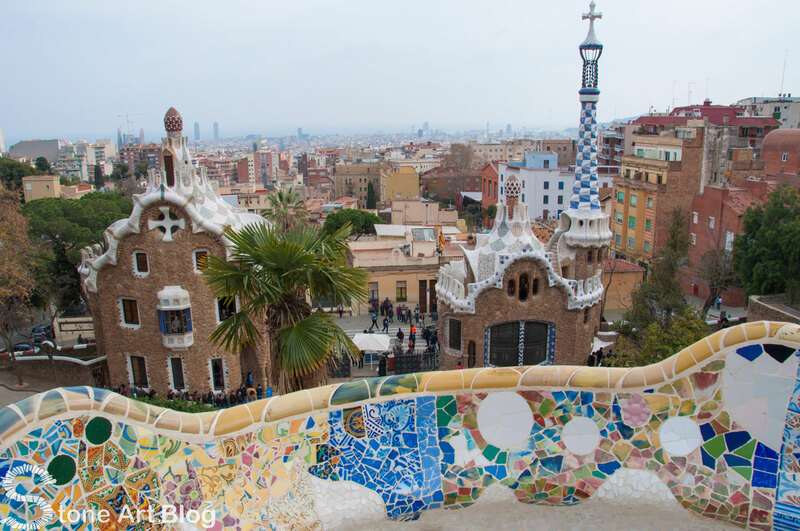 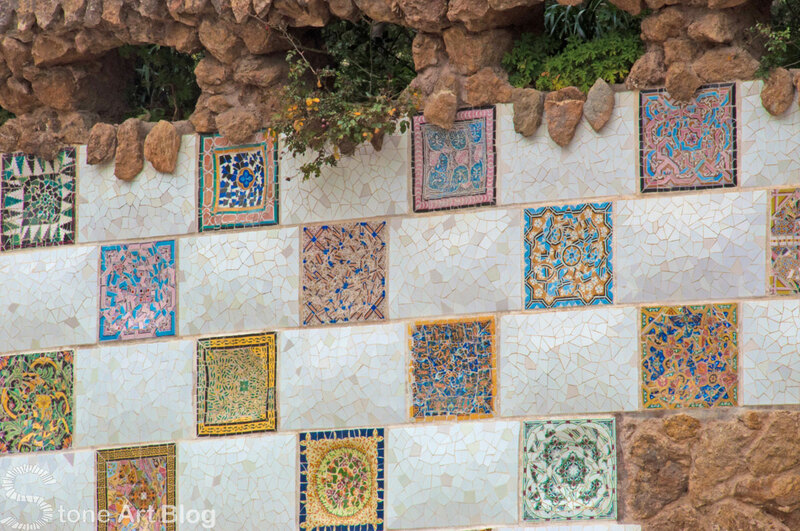 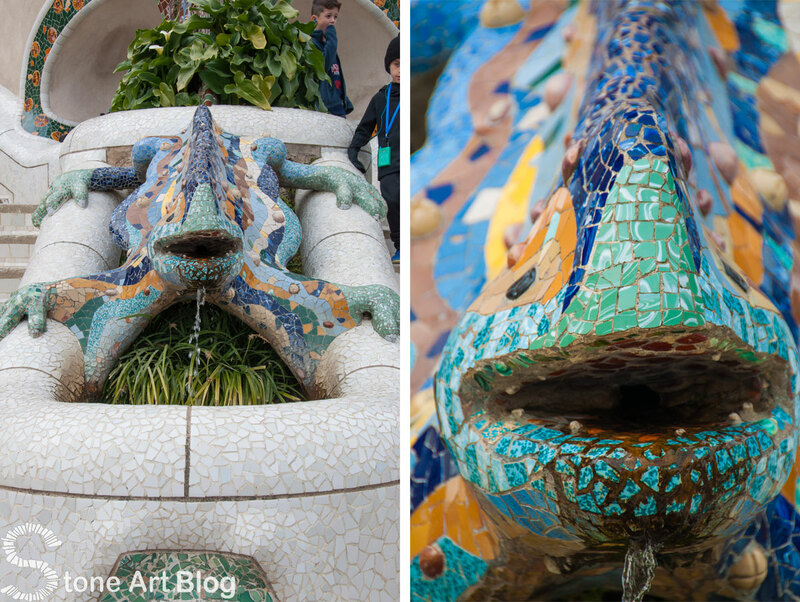 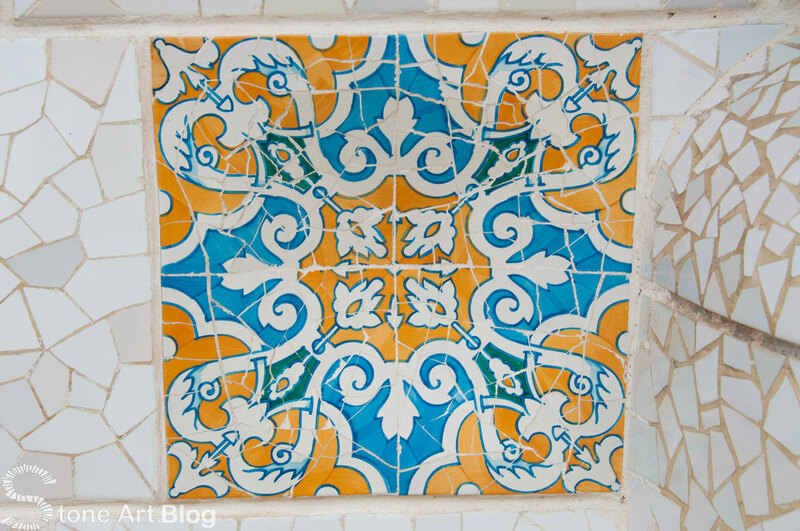 In preparation for my first next mosaic workshop of 2016, I took a trip to Barcelona, Spain for some mosaic inspiration. Rather than rambling on, I will let the photos speak for themselves. I probably took 100's of photographs during my visit to Barcelona. 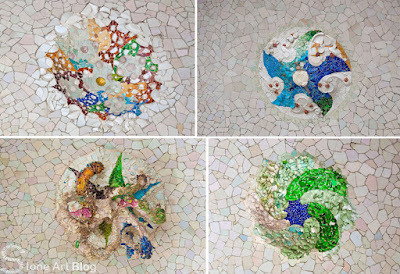 Below is a selection of them for your viewing pleasure. My first stop had to be one of Antonio Gaudi's greatest works, Park Guell. Be sure to click on the photos to get a larger view. 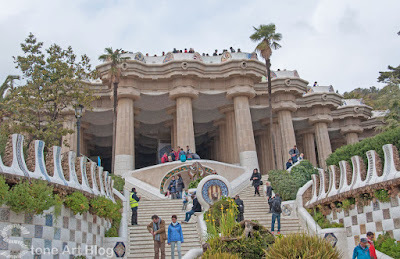 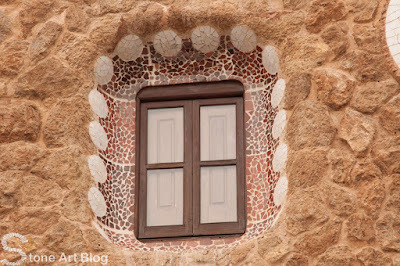 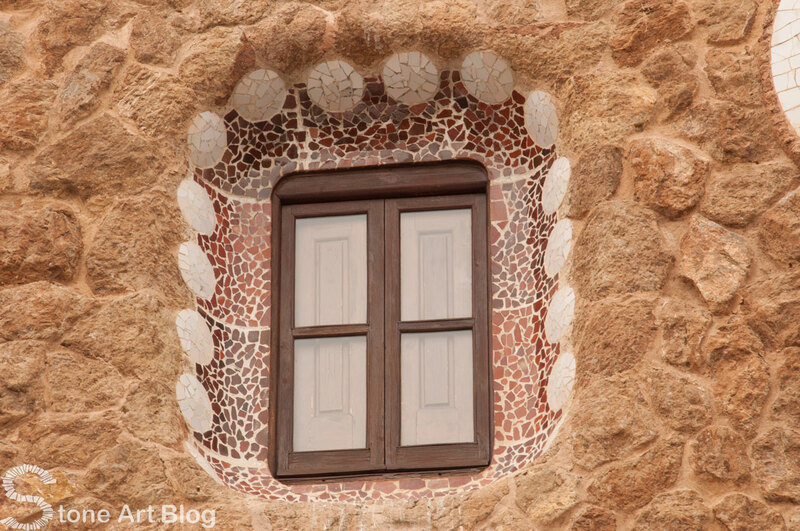 Park Guell is one of the most impressive public parks in the world. 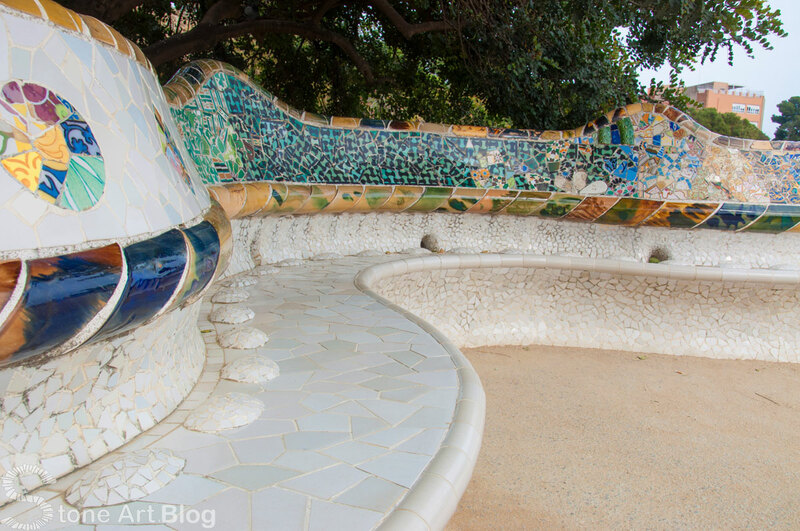 The park is located in Barcelona and was designed by famous architect Antonio Gaudi. 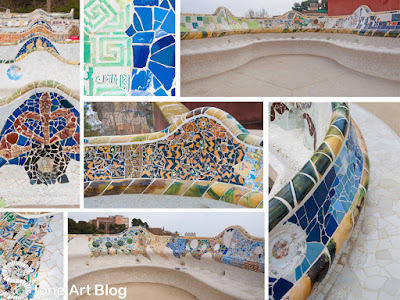 Gaudi planned and directed the construction of the park from 1900 to 1914 for Eusebi Guell for a residential park intended for sixty single- family residences. 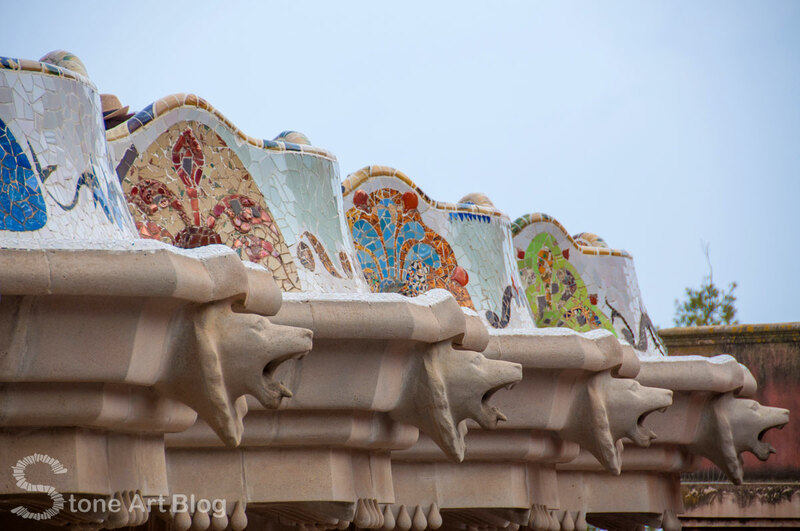 The project became city property in 1923. 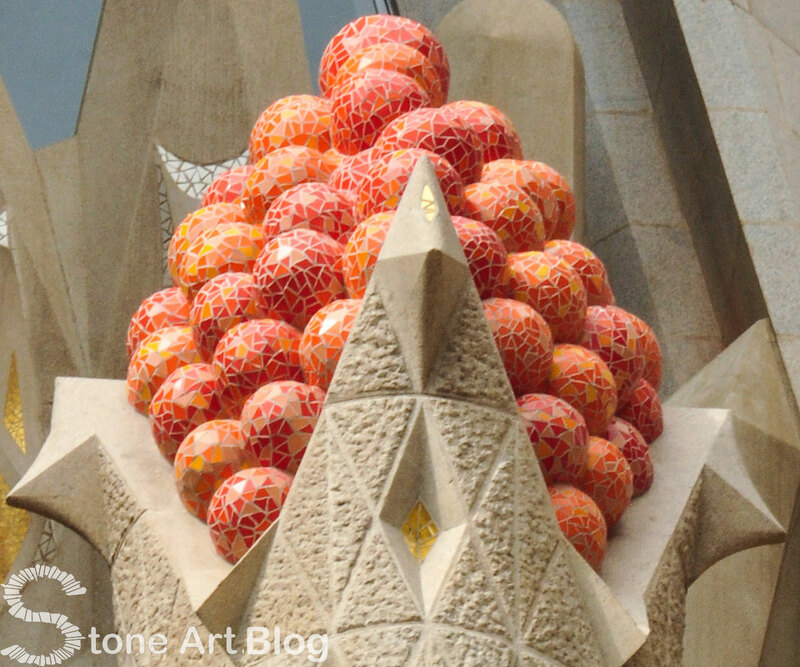 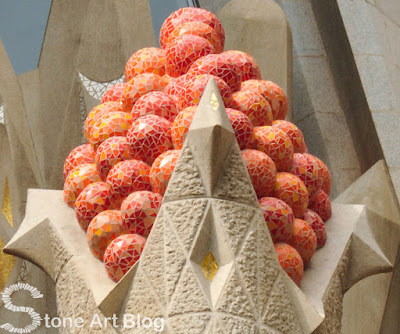 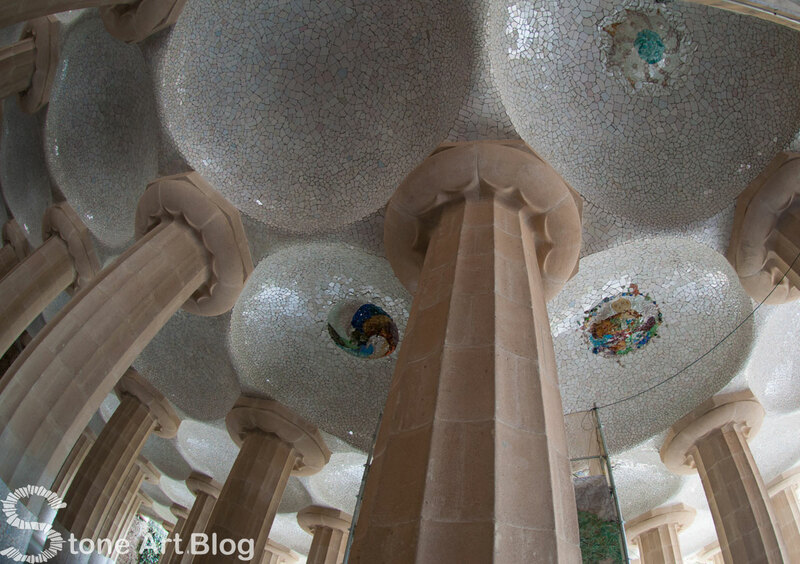 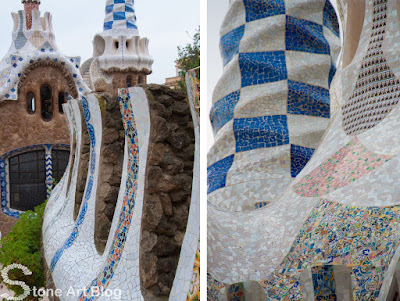 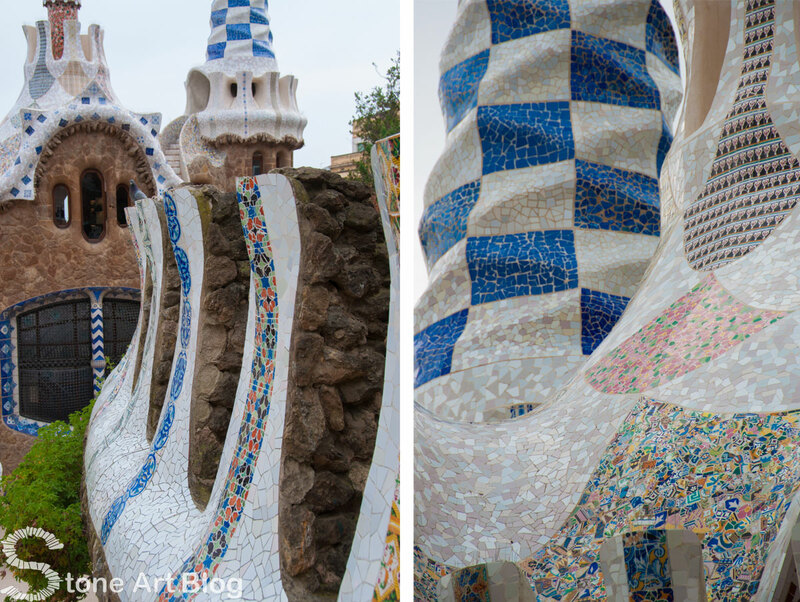 Though never fully completed, it still remains one of Gaudi's most colorful and playful works. 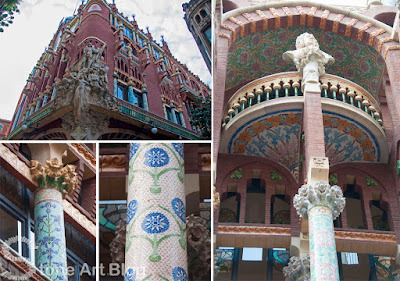 The Palau de la Música Catalana was built between 1905 and 1908 by the architect Lluís Domènech i Montaner as a home for the Orfeó Català, financed by popular subscription. 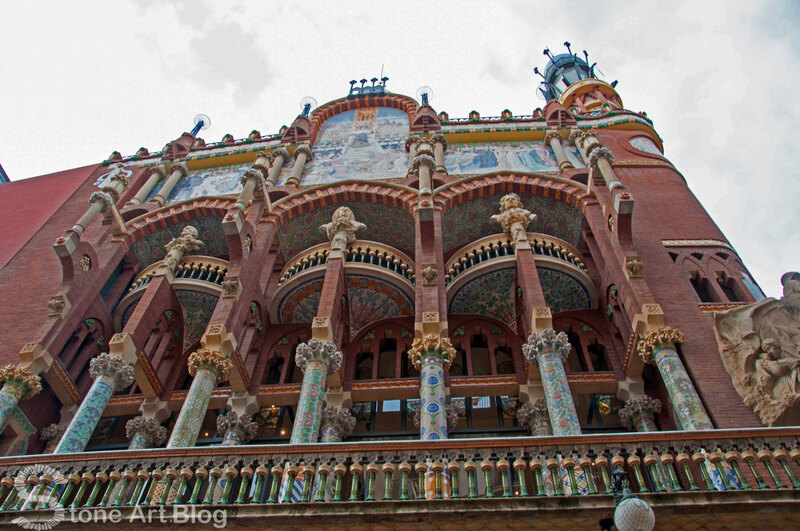 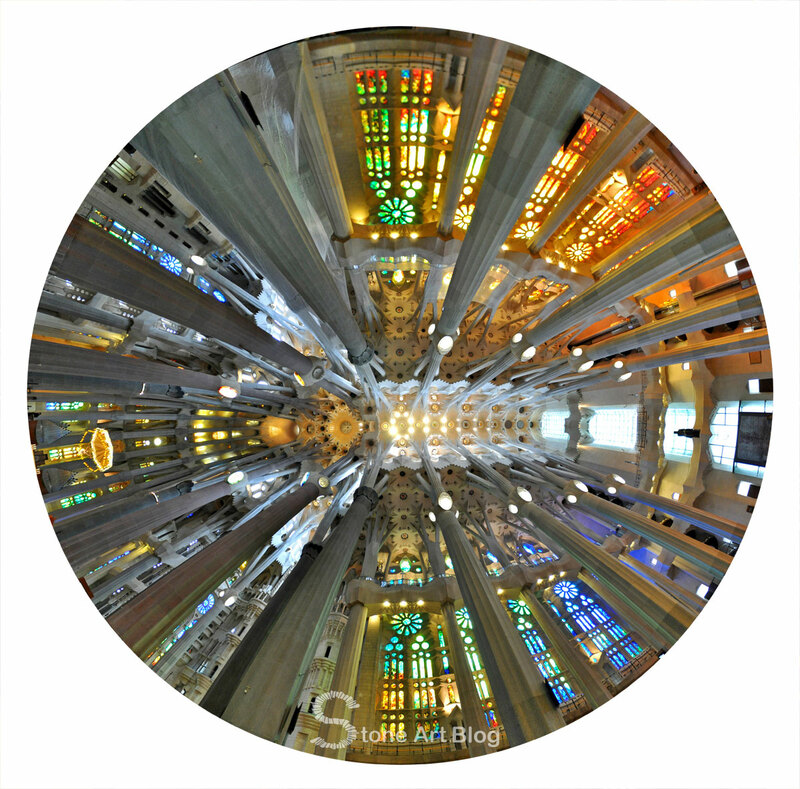 The building is designed around a central metal structure covered in glass, which exploits natural light to make the make Domènech i Montaner's masterpiece into a magical music box which brings together all the decorative arts: sculpture, mosaic, stained glass and ironwork. 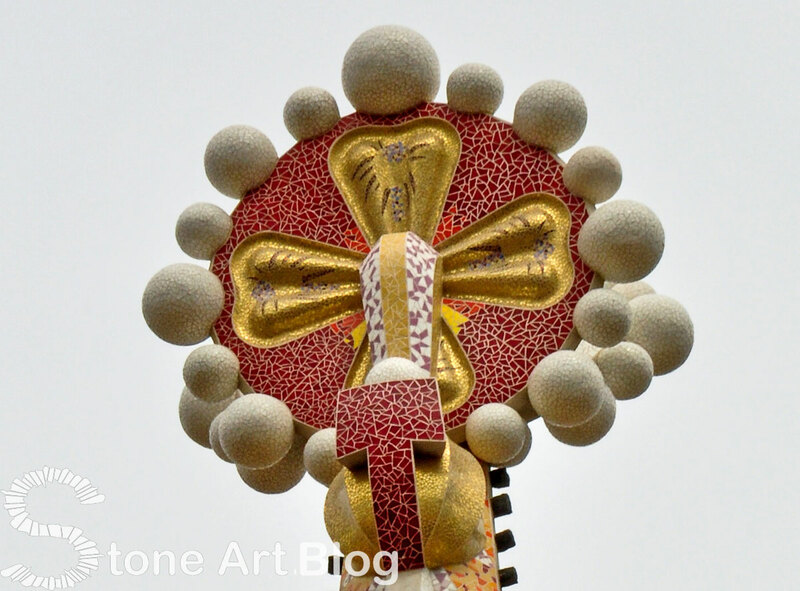 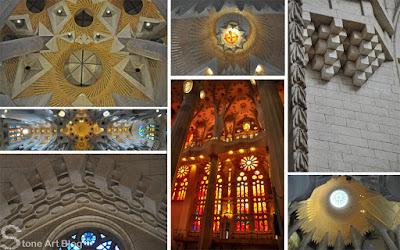 I could not have finished my trip to Barcelona without a trip to Sagrada Familia. 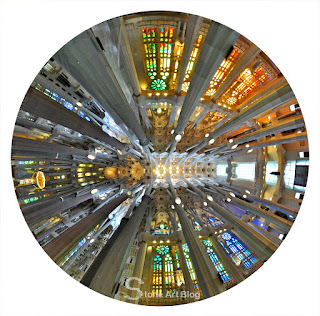 La Sagrada Familia is one of Gaudí's most famous works in Barcelona. 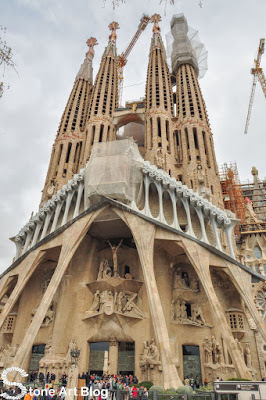 It's a giant Basilica that has been under construction since 1882 and it's not expected to be completed until 2026. The cathedral has some nice mosaic features (with much more to come) but for me it is the interior that is a triumph. It is worth noting that all three sites visited above are UNESCO World Heritage Sites, a testament to their significance in the mosaic world. 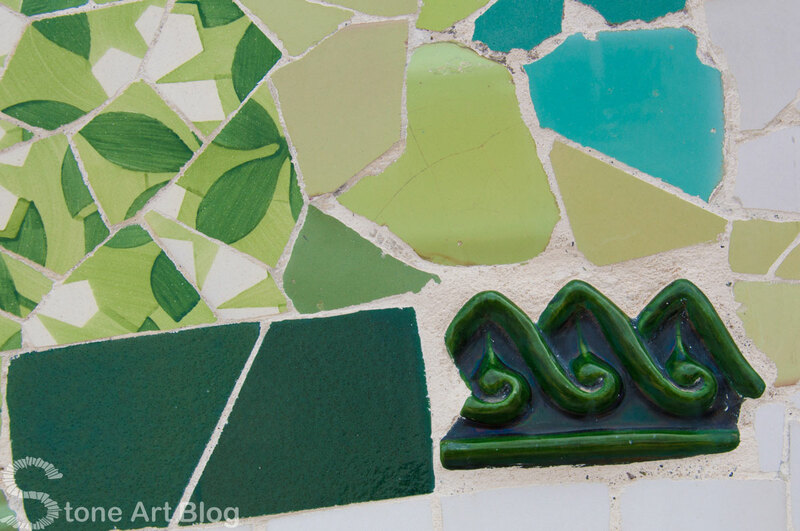 Learn a new skill and create a piece of art for your home or garden in the process. 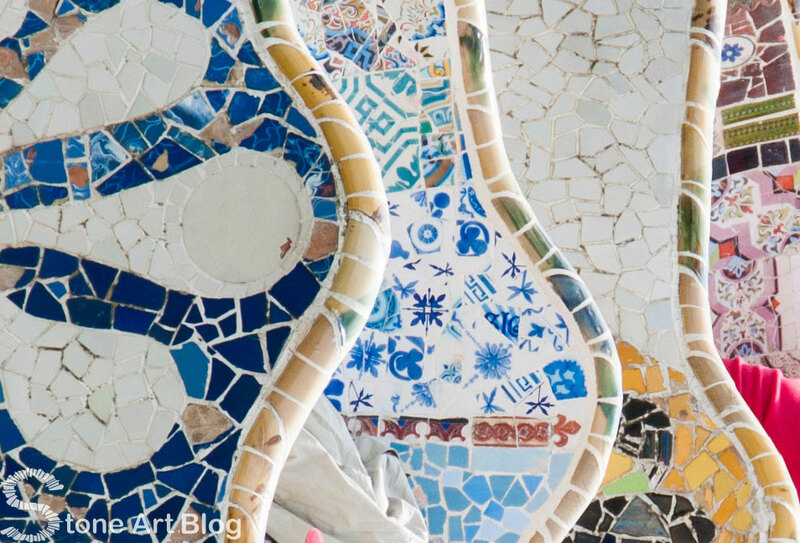 If you have a larger project in mind, and need help getting started, this workshop is a great way to get you started on the right foot. 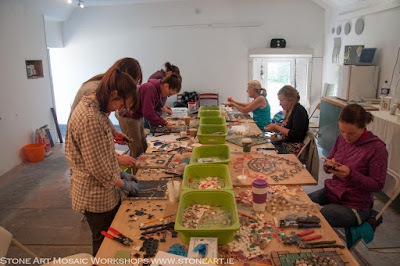 The studio sits on the edge of Kinsale town, a touristic gem of west Cork. 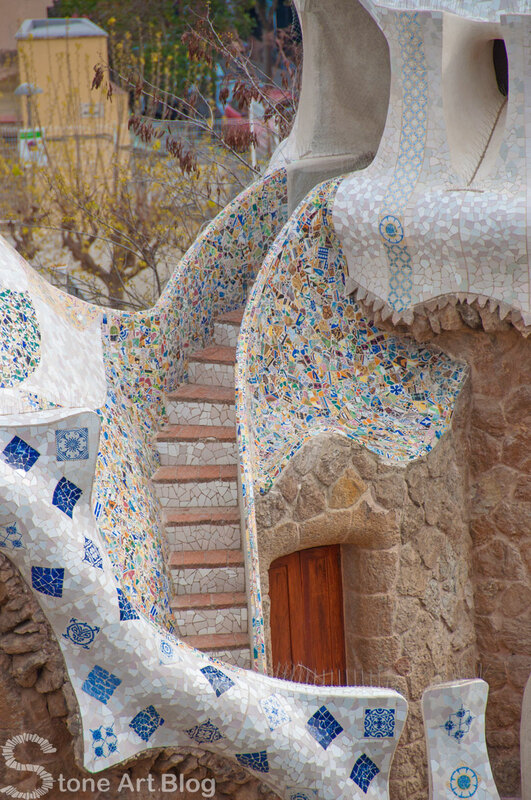 Bring a packed lunch or head into the town for a bite. 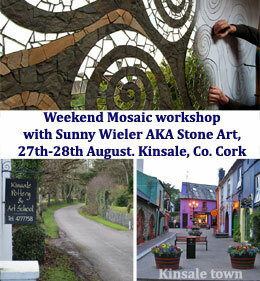 Plenty of accommodation available in Kinsale town and surrounding area as well as Cork City itself. A public bus service operates between Cork and Kinsale if traveling without a car. 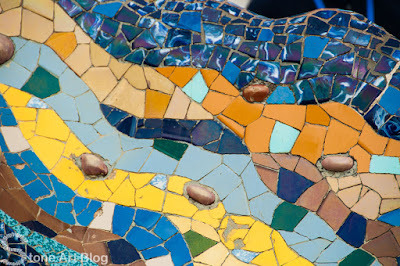 Introduction to mosaicing materials and tools. 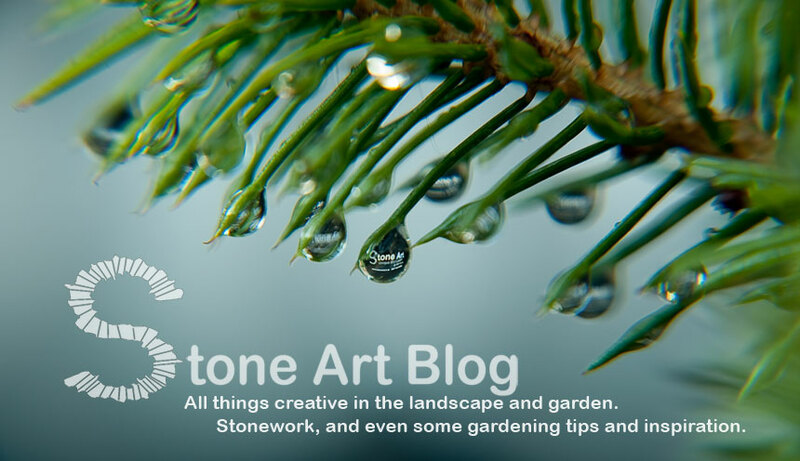 Introduction to the design process. Looking at different mosaicing processes. 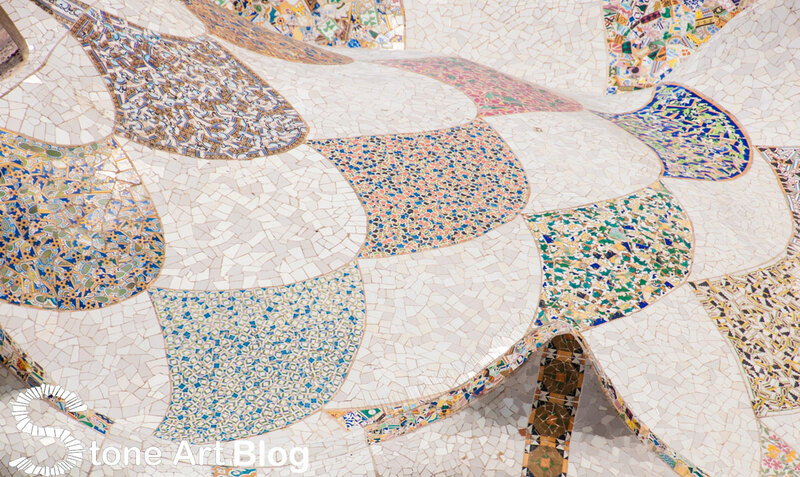 Coming up with a design for your project. 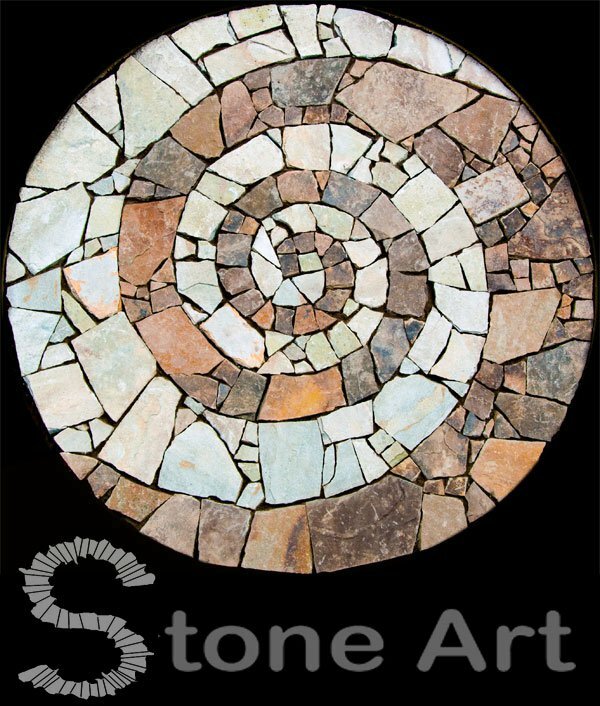 Grouting and finishing your work of art to take home with you. 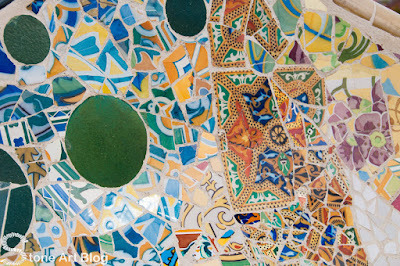 If not for the football I now have a really good reason to visit Barcelona.